January | 2017 | Why Is The Internet Broken? We decided to do a mid-week release of the podcast to talk about the brand new AFF platform, as well as the insanely high results from the SPC-1 benchmark test! We bring in the performance team, featuring Chad Morgenstern and Jim Laing, to talk numbers. Then, we invite Mr. Flash, Andy Grimes (@andy_ntap_flash), to give us the lowdown on the new compact beast, the A700s. This week on the podcast, we welcome NetApp Technical Marketing Engineer John Spinks (@jbspinks) to talk about the latest release of SnapCenter and how it’s improving backup management! NetApp’s ONTAP operating system is one of the few storage operating systems out there that supports data access from both CIFS/SMB and NFS clients. NetApp’s been doing this for a long time – longer than I’ve been there, and I’m going on 10 years! Despite the fact that it’s been around so long and is one of *the* core competencies in ONTAP, it’s one of the most frequently misunderstood configurations I see. When I was in support, it was one of the biggest case generators. As the NFS TME, it’s one of the most common emails I get that customers need assistance on. I can tell you what it’s not…. To truly understand multiprotocol NAS, you either have to know both Windows and UNIX file systems/security sematics pretty well, or be open to the fact that Windows and UNIX have similarities and differences. That said, when you do understand how it works and get it configured properly, it’s a pretty powerful tool for serving data for multiple client types. There’s currently a Multiprotocol TR in the works, but will be a ways out. However, I just dealt with a recent multiprotocol NAS issue and wanted to do a brain dump before the information got stale and I had to revisit it. This blog is intended to be a quick hit guide to multiprotocol NAS in ONTAP. Some of the ideas will make their way into official TR format. What makes multiprotocol NAS possible in ONTAP? ONTAP is fairly agnostic when it comes to file systems and ACL styles. SMB and NFS clients use different security semantics, but the general concepts of those are the same. From there, things tend to skew a bit. Windows uses NTFS security concepts. NFS clients use mode bits for NFSv3/NFSv4.x or ACLs for NFSv4.x. NFSv3 had the concept of POSIX ACLs, but ONTAP doesn’t support those. To properly address permissions, ONTAP has to pick one security style over the other. This allows the storage system to decide which direction a user will map to determine the correct permissions. After all, what’s the point of permissions if they don’t work properly? ONTAP is not unique in the concept of user mapping, but it is still a concept that gets people confused on occasion. Essentially, to get the proper permissions on a NetApp storage system, a client must first pass a “test” in the form of initial authentication. The storage system needs to know that the user you are claiming to be is actually you. There are varying degrees of how secure this test is, mostly dependent on the protocol you’re using, but the bottom line is this: authentication helps us get a user name. That user name allows us to map to another user name, depending on the volume security style. User/name mapping is one of the most important pieces of the multiprotocol NAS puzzle. Get that part right and most everything else is easy. Name mapping can be done either locally (via name mapping rules) or with LDAP. TR-4073 covers this sort of thing in pretty finite detail. The easiest way to handle name mapping in ONTAP for multiprotocol NAS is to leverage a name service server like LDAP. When dealing with both SMB and NFS, the most logical choice is to use the existing Active Directory infrastructure to host UNIX identities. While you can host name mapping rules for users that don’t have the same UNIX and Windows names, it’s best to try to have UNIX and Windows user names match 1:1. (I.e., DOMAIN\nfsdudeabides == nfsdudeabides in UNIX). TR-4073 covers LDAP and TR-4379 covers name service best practices for ONTAP 9.2 and prior. TR-4668 covers name services in ONTAP 9.3 and beyond. The “effective” style changes based on the last permission change. If an NFS client does a chmod or chown, the mixed security style volume changes to effective UNIX security style. If an SMB client changes owner or sets an ACL, the effective security style changes to NTFS. When these effective styles change, how the storage does name mapping changes (ie; win-unix to unix-win, etc). Is mixed security style recommended? Generally speaking, you don’t want file systems changing something behind the scenes without the knowledge of the storage administrators. Plus, these changes can affect functionality, and even access. As a result, mixed security style is generally not recommended. The only time you’d want to use mixed security style is if your environment requires the ability for clients or applications to change permissions from both NFS and SMB. And even then, if you do set up mixed security style, consider limiting the ability for regular users to take ownership or change permissions on folders and files via NTFS ACLs. Otherwise, I personally recommend picking either NTFS or UNIX and sticking with it. That choice would be based on how you want your users to manage their ACLs, as well as how granular you want control to be on those file systems. For example, mode bits in UNIX only allow setting an owner, group and everyone else. There’s no way to set multiple groups with different access on the object unless you use NFSv4 or NTFS ACLs. I usually prefer NTFS because you get the granularity, as well as the GUI functionality many users are accustomed to. If a volume is using mixed security style and the effective style gets flipped from NTFS to UNIX and then back to NTFS by way of the clients, the previous NTFS ACLs are lost. When a volume flips from UNIX effective to NTFS effective, you get the mode bit translation. For example, if the UNIX volume was 755, you get “Owner – Full Control” and “Everyone – Read/Execute” as Windows ACLs. 700 gives “Owner – Full Control” only. Administrator always gets added onto the ACL with Read/Write access when we flip to NTFS from UNIX. With mixed security style, there are two types of owners – UNIX owner and Windows owner. When Windows “takes ownership,” the UNIX owner does not change. Be on the lookout for a multiprotocol TR in the future that covers this and more! Got any questions? Feel free to post in the comments! This week on the podcast, we invited Amy Lewis (@CommsNinja) and Andy Banta (@andybanta) to give us their thoughts on the past year after the SolidFire acquisition by NetApp. We also discuss the new Element OS, Fluorine. This week on the podcast, we welcome NetApp Technical Marketing Engineer Karthikeyan Nagalingam (Karthikeyan.Nagalingam@netapp.com) to discuss Big Data solutions like Hadoop, Spark and NoSQL and how they fit into the NetApp portfolio. We also talk Big Data 101 – what it is, how it’s used and how it’s best implemented. The world is a nefarious place. All you have to do is read the latest headlines to see why. As the use of the Internet has expanded to include things like cloud and the Internet of Things, the number of threats have also expanded. Computer viruses, root kits, spoofing, phishing, spear phishing, denial of service attacks, hacking, Nigerian princes promising a million dollars to your 75 year old mother in law… all of these things are challenges that IT professionals face every day. One of the nastier security issues out there is something called “ransomware.” It’s exactly what it sounds like – someone gets control of your data via one of the aforementioned ways and encrypts it and holds it ransom, usually for payment in dollars or bitcoin. 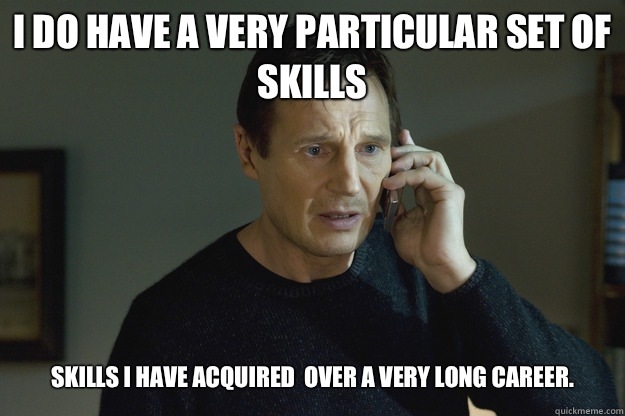 It’s the Internet version of “Taken” and it often requires someone with a very particular set of skills to combat. How do you combat ransomware? Threat prevention via securing your networks, authentication and user education. NetApp has long been known for its superior Snapshot technology, but with ransomware, it now has a new use case. If you store your data on NetApp storage and keep a regular cadence of snapshots, you can recover nearly instantaneously from ransomware attacks and be back in business in minutes. Snapshots are readonly, so they can’t be modified by attackers. If someone locks your data up, unlock it by rolling back to happier times, such as when your data was not being held hostage by ransomware. NetApp won’t necessarily prevent ransomware, but they can help get you out of a sticky situation. Back in October, ONTAP 9.1 RC1 was released. Tons of new features were added, which I covered in ONTAP 9.1 RC1 is now available! Introducing the NetApp FlexGroup Best Practice Guide! A while back, I wrote a blog post on the new scale out file system feature called NetApp FlexGroup. In that blog, I went over some of the details of what a FlexGroup volume is, where they’re used, etc. ONTAP 9.1RC2 recently was released, which added SMB protocol support. And today, TR-4571: NetApp FlexGroup Best Practices and Implementation Guide is publicly available! Have a look at the TR and send comments or questions to flexgroups-info@netapp.com, or post them to this blog’s comments section. The Tech ONTAP podcast team kicks off 2017 with a new episode on Trident, a Kubernetes capable storage orchestrator available on the NetApp Pub. We brought NetApp Technical Director Garrett Mueller (@innergy) to discuss the new tool with Andrew. If you’re interested in learning more about Kubernetes, check out the podcast we did with Kelsey Hightower (Episode 53).